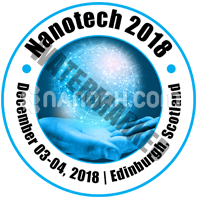 Meetings International takes the pride to welcome you to the International Conference on Nanotechnology which is going to be held during December 03-04, 2018 at Edinburgh, Scotland. The theme of this conference is “Interdisciplinary approach for New Innovation and Collaboration in Nanotechnology”. This Nanotechnology conference gathers renowned Eminent Scientists/Research Professors, Junior/Senior research fellows, Students, Directors of companies, Members of different Nanotechnology & related associations, Engineers and Industrial delegates in the field of Nanotechnology under a single roof where networking and global partnering happens for the acceleration of future research. Meetings International is a global leader in producing high quality conferences, meetings, workshops and symposia in all major fields of science, technology and medicine. Since its inception, Meetings International has been associated with national and international associations, corporations and high level individuals, dedicated to host world class conferences and events. Meetings International supports broad scope research and peer review at a broad range of specialists around the world.